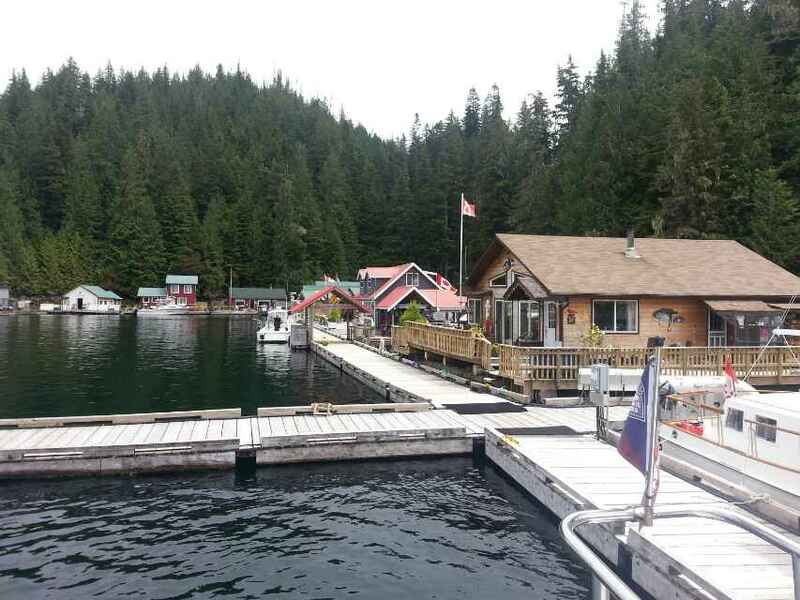 After collecting and eating my prize from last night’s golf tournament this morning, an apple turnover, I came into Mackenzie Sound and am docked now at the Nimmo Bay Resort. They occasionally have room for extra dinner guests, and the place has a great reputation. Beautiful evening yesterday, and today I came into Sullivan Bay Marina, a little float home settlement attached to Broughton Island. Tonight is another happy hour, everybody brings snacks and drinks, and we swap boating stories. PS Happy hour was great and I won the golf tournament that traditionally follows on the one hole golf course. We hit the ball from the dock to a floating target about 50 meters off, and my ball hit the water closest to the target. Another short trip in a bit of morning fog. 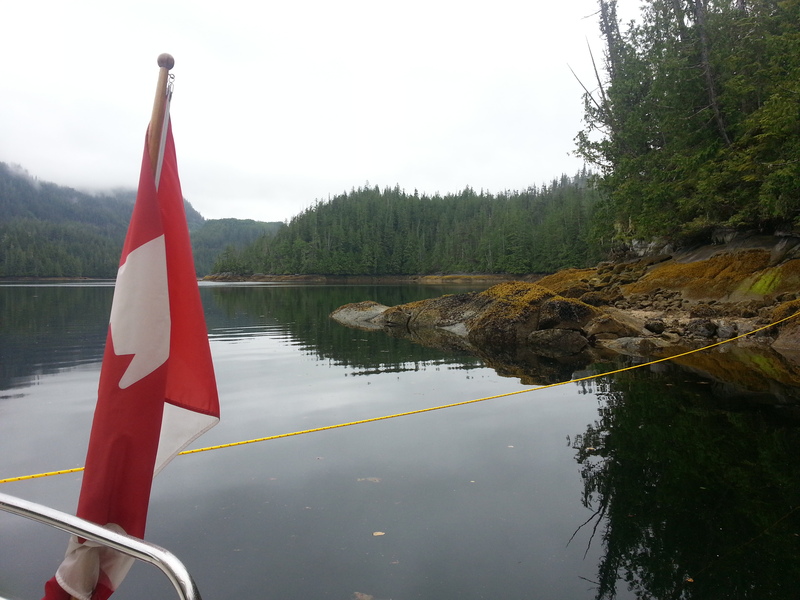 Now the sun is breaking through and I am anchored between Gregory and Thief Islands in Moore Bay with a fantastic view up Kingcome Inlet. Coming in, dozens of dolphins (Pacific Whitesided Dolphins) played around the boat, some swimming along on their sides and looking very intently at my pretty boat. Yesterday afternoon and evening were very interesting and the pig roast was great. 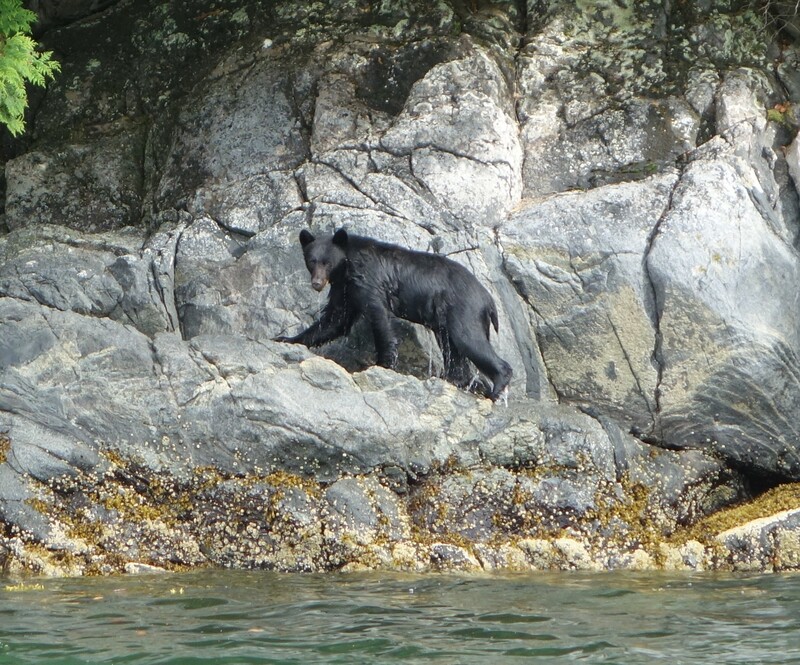 Today the sun came out again and I moved to Waddington Bay. The crowd here is very different, mostly sailors and kayakers. 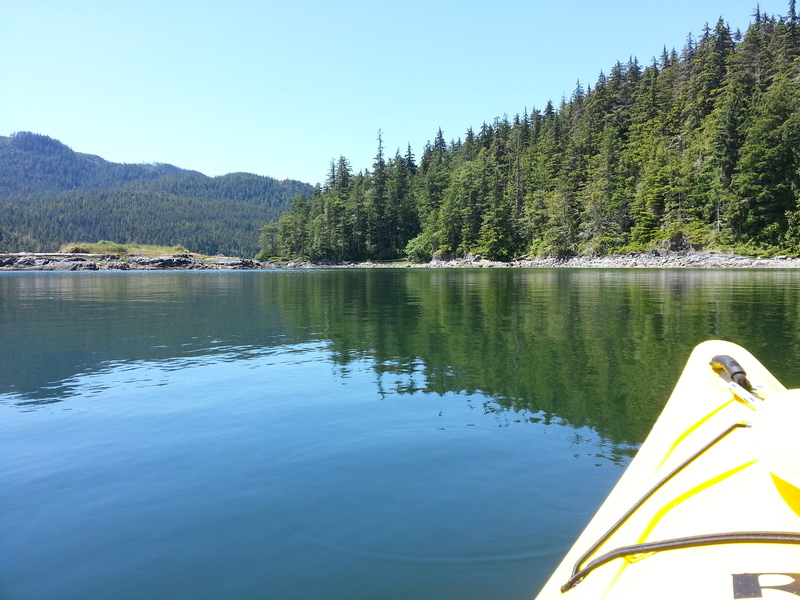 The area is beautiful and studded with little islands and rocks, great fun to explore in the kayak. Looks like the rain is going to stop and we will get a few days of nice weather again. I came into Pierre’s marina at Echo Bay today as there is a get together with a pig roast here tonight. Of the many boats arriving, I know a few people already. Another local legend, Bill Proctor, lives close by, has a museum of local stuff and is always glad about visitors. He is over 80 years old and has lived his whole life in the area. And then there is Nikki the Forest Dweller, who will give a talk this afternoon. Should be an interesting afternoon and evening and I look forward to it. After a lively happy hour on the dock of Kwatsi Bay and long chats in the evening, yesterday, I am now anchored in Simoom Sound. This was a large and lively community (on floats) a hundred years ago, with a school, stores and weekly steam ship service. Nothing left of this today, except a very impressive landscape. 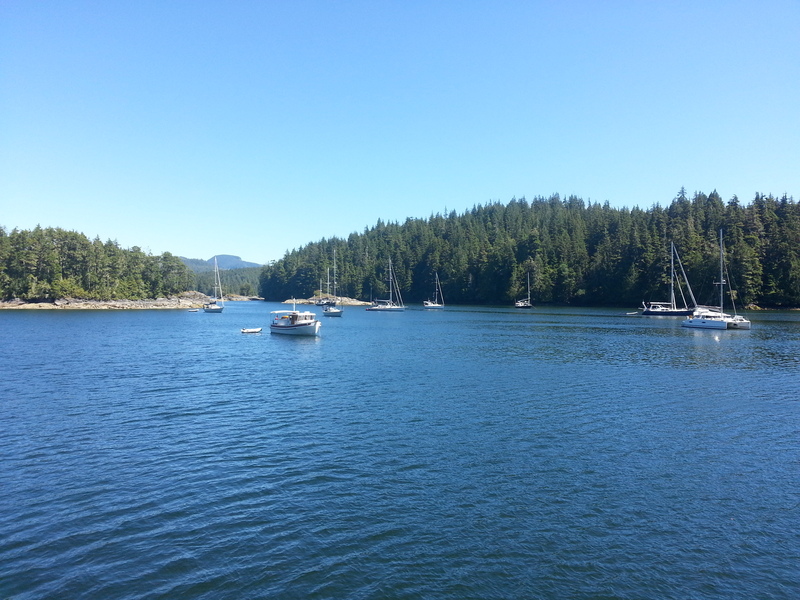 Last night I anchored in a channel between Kumlah Island and Gilford Island. On the way in, I saw dozens of dolphins, and one swam around the boat. 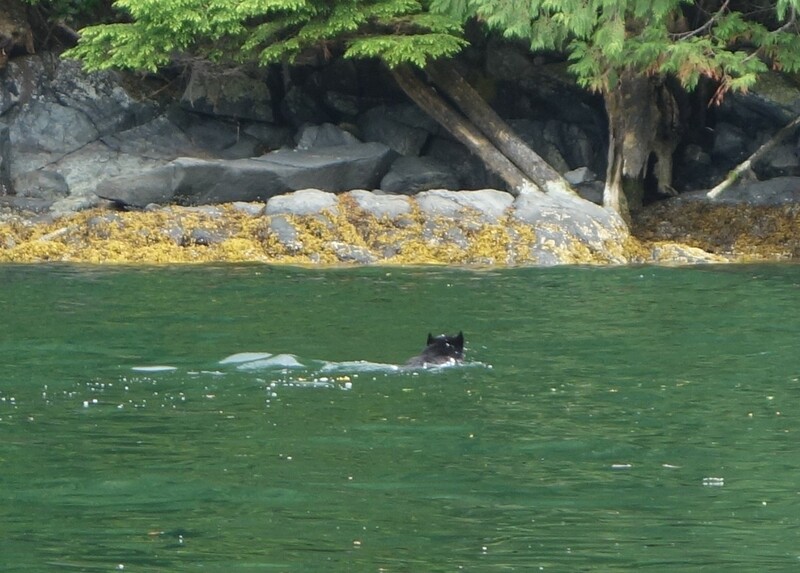 Later in the evening, a bear swam across the channel, about 500 meters. It was swimming quite fast, but I had time to jump in the dinghy and follow to take a picture. 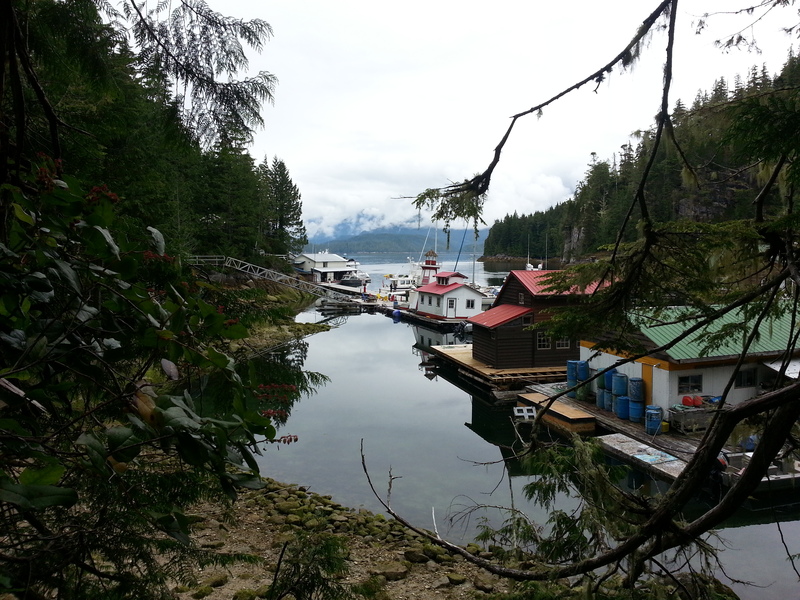 Today I came into Kwatsi Cove, again lots of dolphins on the way. There are many large waterfalls in the area, and as it has been raining for two days, they are all running nicely. Just need a little sunshine to take some pictures, maybe tomorrow. I came through Beware Passage this morning, with places like Caution Rock, Beware Rock, Dead Point etc. The passage is full of rocks and islets, but I went at low tide, the charts are accurate and it was not as scary as the names imply. The Indian villages dotted along the shore are mostly abandoned today, but the middens (piles of crushed shells) stick out as white beaches along the way. 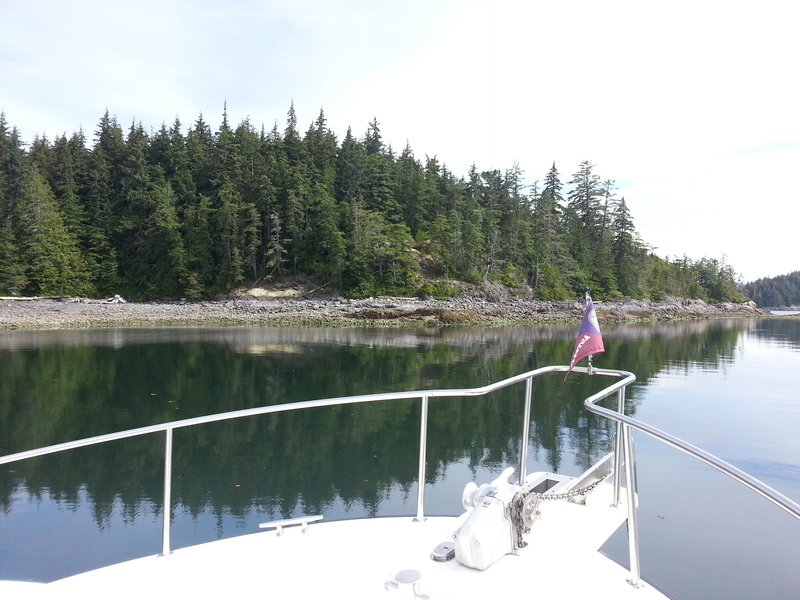 Now I am anchored behind Goat Islet, alas, not a goat in sight. Another short trip and long day kayaking. I came into this pretty and well protected anchorage today as the wind increased to 30 knots this afternoon. At low tide I kayaked around some islands in the channel, at high tide I went into the lagoon. This has a grass meadow at the end with a meandering river that is navigable for quite some distance. There were lots of bald eagles there fishing in the shallow water. A short travel today to Lagoon Cove on East Cracroft Island. This is a pretty and popular place with a prawn happy hour at 5pm every day. 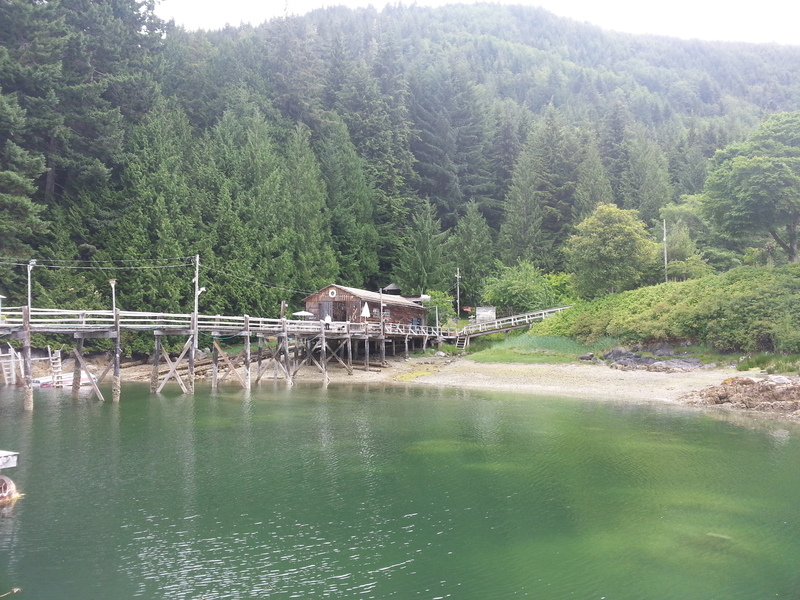 The marina is also for sale, at an asking price close to 1.5 million Canadian Dollars. I think I will stick with the happy hour and move on tomorrow.